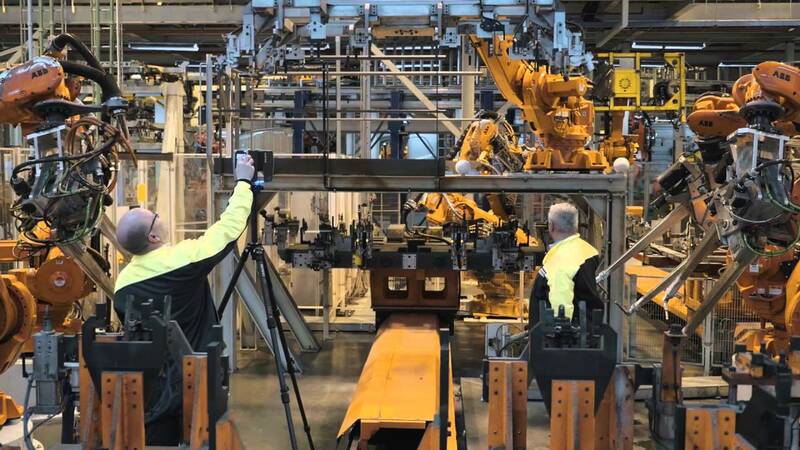 By mapping the whole production with a 3D scanner, the engineers at the truck plant in Umeå, Sweden, are now using a virtual world in their production development. “Our plant needs to be more flexible in the future so that we can be faster to adapt the product into new variants, says Kent Sundberg, Manager, Engineering support and IT at the Volvo Group truck plant in Umeå. “In order to reduce the lead time to change we need to develop new methods and tools that we have with virtual manufacturing. 3D scanning is one of these tools. The 3D scanning is done during the natural production stops and gives accurate position of the equipment in the process areas with millimeter precision. It results in a virtual map that the engineers can use to program the robots with high precision without stopping the production. “We can reduce the installation time, the test time and we get a good quality of the changes in the production area right away”, says Kent Sundberg. The virtual map can also be used as a complement to visits since it’s almost like taking a digital walk through the factory. Just like a web mapping service you can look in a 360 degrees panoramic view.